The 15th century was a bloody one for Europe, although all the conflicts of the age did have a positive effect. All this conflict led to the improvement of plate armor, which gave us such forms of protection like this Duke of Burgundy Suit of Armor. This suit of armor is modeled after typical suits of Italian plate armor out of the 1450s, possessing a distinctive look that was simply enough for the everyday warrior yet stunning enough to be featured in premier socialites and nobles who fancied themselves as true knights. As was typical of some earlier Italian armor, this suit possesses more smoothed edges, which helps to streamline the armors look, while also ensuring that blows from lances, swords, and more slide right off the armors edges. It is hand forged entirely from 18 gauge steel, which helps to make it as stout and sturdy as the original armor. This symbol of the knightly age comes partially assembled and is fully articulated. It also features a decorative war skirt, to help improve the armors already considerable look. 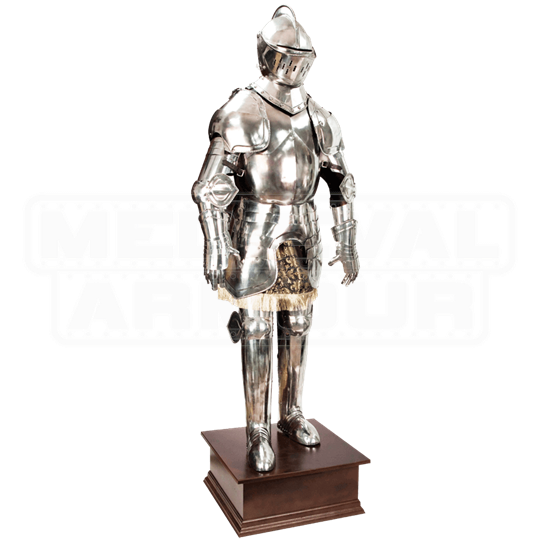 An included skeletonized frame makes it easy to store and display this armor, transforming it into a display that is worthy of sitting in your hallway or office, and when you wish to, you can also remove the armor from its frame and wear it, to make yourself look more like a knight from the late middle ages. On the stand, the armor measures approximately 7 feet tall. 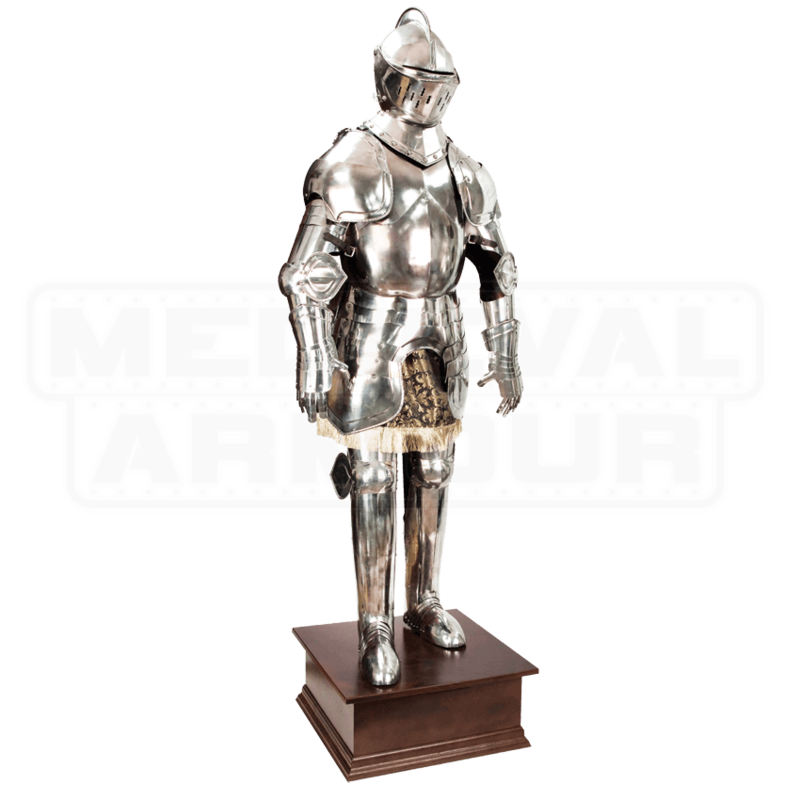 The Duke of Burgundy Suit of Armor does double-duty with remarkable ease, allowing you to set it up in your home as a brilliant display that pays homage to the knights of old, as well as being a functional suit of armor that you can wear from time to time, to create the perfect knightly costume! This armor is crafted by Windlass Steelcrafts.